Hon ANNETTE KING (Deputy LeaderLabour): My question is to the Minister of Health. How much has been spent by the Government on the Social Bonds Pilot to date? Hon ANNETTE KING (Deputy Leader—Labour): My question is to the Minister of Health. How much has been spent by the Government on the Social Bonds Pilot to date? Hon Dr JONATHAN COLEMAN (Minister of Health): I raise a point of order, Mr Speaker. I would just like to point out that the question on the Order Paper says “How much has been spent by the Government on the Social Bonds Programme to date?”, so that is actually inviting a very different answer to the one that you just asked. Mr SPEAKER : I am going to invite the member to ask the question again. [Interruption] Order! The member will repeat question No. 1. 1. Hon ANNETTE KING (Deputy Leader—Labour) to the Minister of Health : How much has been spent by the Government on the Social Bonds Programme to date? Hon Dr JONATHAN COLEMAN (Minister of Health): That is a totally different matter. Hon Annette King : Well, answer it. Hon Dr JONATHAN COLEMAN : I am about to. The Government’s programme on social bonds commenced in 2012, with policy development led by the Ministry of Health, which produced a feasibility study and a business case for Cabinet in 2013 and the commercial procurement process, which commenced in 2014. Commercial negotiations on the first social bond, which will target better employment outcomes for those suffering mental illnesses, are expected to be completed later this year. I am advised that the total cost to date is $1.35 million over 3 years, which is approximately 0.0015 percent of the total social spend over that period. Hon Annette King : Is payment by result with cash for outcomes once the service has been delivered and measured still a key component of the social-impact bonds pilots? Hon Dr JONATHAN COLEMAN : Yes, it is. Hon Annette King : If payment for results is still a key component and the first project does not start until the end of this year or the beginning of next year, what are the Budget allocations from 2015 to 2017/18, amounting to around $29 million, actually for? Hon Dr JONATHAN COLEMAN : As we have canvassed many times, there are four potential pilots there, the first of which is going to be this pilot around employment outcomes for people suffering from mental illness. We have been quite transparent. You can have a look at all the papers. We are so transparent about it that it is actually all up on the Ministry of Health’s website, so go and have a read. Hon Annette King : I raise a point of order, Mr Speaker. I asked what the money was actually being spent on if it was still a component. Mr SPEAKER : If the member is asking whether the question was addressed, the question was addressed. The way forward is further supplementary questions. Hon Annette King : Does he recall being advised just a few weeks ago that for the social-impact bonds pilots it could be up to 7 years after service delivery commencement before outcomes are delivered and measured? Why does he need $29 million over the next 4 years? Hon Dr JONATHAN COLEMAN : We get a range of advice on this. In the end, the delivery of the results and the timing of those will be tightly contracted for. So the member does not need to worry: we are not going to wait 7 years for results. We are going to pay once we get the results, and they will be in much shorter order than that. Hon Annette King : Are ANZ and Westpac, the two Australian banks that are looking to get their hands on the $29 million pay-out, prepared to wait 7 years for their cash, or has he backtracked on the payment for results, and will he now be giving them expenses from the commencement of this service, in total contradiction to the social bond project he and Bill English announced? Hon Dr JONATHAN COLEMAN : The first thing is that we have not named any financial institutions. It is subject to commercial confidentiality. The second thing is that the way the model works is that a bank will be a facilitator between an NGO and a source of finance to bring the whole deal together. In the end, though, we are not paying until we get results. Hon Annette King : Is he saying that the Government is prepared to spend $29 million over the next 4 years to procure for untried projects, while at the same time 20 district health boards in Budget 2015 received the same amount—$29 million in funding for mental health—to provide services for the entire country? Hon Dr JONATHAN COLEMAN : No, that is not what I am saying at all, and the member knows it. Hon Annette King : If he is so confident in the process being used to set up for the social impact bonds, why did a reputable organisation like the Red Cross withdraw from the process due to a lack of data availability about how it is going to work? Hon Dr JONATHAN COLEMAN : I do not have any information, particularly about the Red Cross, but there is a range of providers who are very interested in this. The programme will suit some and it will not suit others. Joanne Hayes : What support has the Minister seen for social bonds? Hon Dr JONATHAN COLEMAN : Social bonds have attracted widespread interest and support around the world, with around 100 social bonds in development or under way. Political parties from the centre left have been particularly enthusiastic. That includes the UK Labour Party, which announced the first social bond in 2010; the New South Wales Labor Party; and President Obama and the US Democrats. In fact, I am aware of only one centre-left party in the world against innovation in the social sector, and, of course, there are prizes for guessing—it is the New Zealand Labour Party. Mr SPEAKER : The source and date is? [Interruption] Order! If the member carries on like that, I will not even put the leave. I need the source and the date. Hon Annette King : There is no date on it. I gave you the source, Mr Speaker. It is a report to the social sector reform leaders group. Mr SPEAKER : Is it publicly available? Hon Annette King : No, it is certainly not publicly available. Mr SPEAKER : I will put the leave and the House will decide. Leave is sought to table it. Is there any objection? There is no objection. It can be tabled. Document, by leave, laid on the Table of the House. Darroch Ball : Will he give his guarantee that the social bond programme, once fully established within health, cannot be rorted whereby results are manipulated just for profit; if not, what measures will he put in place to prevent this from occurring? Hon Dr JONATHAN COLEMAN : The point is that through very tight contracting we are going to ensure that that cannot happen. 2. MELISSA LEE (National) to the Minister of Finance : How is the Government’s programme of fiscal management helping keep interest rates lower for longer? Hon STEVEN JOYCE (Associate Minister of Finance) on behalf of the Minister of Finance : Government spending is firmly under control. Core Crown expenditure has fallen from 34.1 percent of GDP in 2008-09 and is expected to drop to 30 percent of GDP next year. We have stuck to a $1 billion allowance in Budget 2015, but we are able to spend $1.5 billion per year on new initiatives because we have identified around half a billion in savings and reprioritisation each year. We have come from an $18.4 billion deficit 4 years ago to see steadily rising surpluses into the future. As the Reserve Bank has noted, that fiscal restraint is one of the drivers of current low inflation, which is helping to keep interest rates lower for longer. Melissa Lee : How do low inflation and lower interest rates help New Zealand families to get ahead? Hon STEVEN JOYCE : In a low inflation environment, interest rates stay lower for longer. Mortgage rates are low, particularly when compared with floating rates of almost 11 percent in 2008. This means a family with a mortgage of $300,000 would be around $240 a week better off due to lower mortgage costs. Low cost of living increases—currently just 0.1 percent over the past year—mean that any pay increases go further. Average annual wages have increased by $5,700 in the past 4 years. Treasury forecasts that they will rise by a further $7,000, to around $63,000 a year, by mid-2019. So if we take the 8-year period as a whole, the average wage is expected to rise by almost $13,000, or over 25 percent, while low inflation of around 15 percent over the same 8-year period means that New Zealand householders and families are better off. Melissa Lee : How do lower interest rates support New Zealand businesses? Hon STEVEN JOYCE : Having low interest rates and solid economic growth creates stronger business investment. Annual business investment increased by 13 percent—13 percent—over the past 2 years, to record highs, and it is expected to increase by a further 15 percent by mid-2018. It is only when businesses invest another dollar or hire another person that we see economic growth, more jobs, and higher wages. That is why this Government is focused on getting the conditions right to encourage businesses to grow. Melissa Lee : What reports has he received on the outlook for New Zealand businesses? Hon STEVEN JOYCE : Yesterday the ANZ released its Business Outlook survey. This showed business confidence declining from recent highs. There are many challenges for business, and the global outlook, it has to be said, remains uncertain. However, employment intentions remain positive, with a net 15 percent of businesses intending to hire new people and a net 21 percent of survey respondents reporting positive residential investment intentions. Meanwhile, commercial construction intentions lifted to 32 percent. The ANZ noted long-term price trends favour New Zealand’s exports, interest rate and exchange rate buffers, and strong net migration, as New Zealanders come home or do not leave, which all moderates economic headwinds. Phil Twyford : Is he concerned that the Reserve Bank’s statement of intent highlights that population growth, low mortgage interest rates, and increased investor participation are creating a significant risk in the Auckland housing market; if so, why has his Government failed to make a dent in any of the supply and demand factors in the housing market, which means lowering interest rates is simply adding more fuel to the Auckland housing market? Hon STEVEN JOYCE : Well, I am not sure that I would be running the line that low interest rates were bad, but the member is simply wrong because we now have—officially this week—the highest rate of house consenting and, therefore, construction in Auckland in a decade—in a decade. Phil Twyford : You’ve been reading Nick Smith’s press releases. Hon STEVEN JOYCE : I am reading Mr Smith’s press releases, but it is actually Statistics New Zealand’s survey that shows consenting of housing in Auckland is the highest in a decade, and Mr Twyford should chew that up and swallow it. Phil Twyford : Is it not the case that had his Government acted to prevent the Auckland housing crisis sooner, the Reserve Bank would not have had to lift interest rates in the first place last year or introduce loan-to-value ratio restrictions, punishing homebuyers all over New Zealand for this Government’s failure to do anything about the Auckland housing crisis? Hon STEVEN JOYCE : The difficulty was that we did not get elected until 2008, and in the 8 or 9 years prior to that, after the metropolitan urban limit was set up in Auckland, the previous Government twiddled its thumbs for 8 years and did absolutely nothing. In fact, it waved through its fellow travellers like Mike Lee and so on and said that they could actually continue to restrict housing in Auckland. This Government has moved very significantly, and there is now the highest house consenting in a decade, Mr Twyford—read my lips. 3. METIRIA TUREI (Co-Leader—Green) to the Prime Minister : Does he stand by his statement that “… we believe that New Zealand can make a positive difference to world affairs and provide a unique and independent voice at the world’s top table”? 4. PAUL FOSTER-BELL (National) to the Minister of Health : What steps is the Government taking to improve access to Primary Care for New Zealand families? Hon Dr JONATHAN COLEMAN (Minister of Health): Fantastic news: from today, all New Zealand children aged under 13 will be eligible to access, as well as free prescriptions, free GP visits at any time of the day or night. Over 400,000 children will benefit from this announcement. Yesterday their parents had to pay to take them to the doctor and get a prescription; today it is free. That is on top of 35,000 under-sixes who already benefit from free GP visits and prescriptions. This policy will see about $120 million spent over the next 3 years in order to deliver high-quality health care for under-13s. The Government is committed to supporting families, and we want to ensure that children get the best possible start in life. Paul Foster-Bell : What impact will this policy have on other areas of the health system? Hon Member : How do you define a GP visit? Hon Dr JONATHAN COLEMAN : Shh—listen! That is good. Preliminary results from that district health board’s hospitals indicate that emergency department presentations by children aged between 6 and 12 have fallen by 10 percent since the policy was introduced, and the number of prescriptions filled has risen by 18 percent. This shows that parents are getting their kids treated sooner, which means better health outcomes for those children, with fewer presenting later and sicker, which, of course, also takes pressure off our emergency departments and hospitals. Paul Foster-Bell : What other pleasant surprises are there for people who support the policy but who are concerned about its uptake? Hon Dr JONATHAN COLEMAN : I have seen concerns raised by serial health correspondent Mrs A King of Hātaitai, stating that although she strongly supports this Government’s policy, she was worried that the uptake of the policy would not be very high. She will be thrilled to know that although the level of uptake for the free under-sixes policy launched in 2008 was a solid 70 percent of GP practices, the day one uptake of the free under-13s policy is a remarkable 96 percent of GP practices, covering 98 percent of children, with 95 percent of children also receiving free ACC consultations. I am delighted to be able to put Mrs King’s concerns to rest, and I encourage her to continue with her liberal praise of Government policy. Hon Annette King : I raise a point of order, Mr Speaker. I can assure you that my late mother-in-law, Mrs A King of Hātaitai, never wrote any of those letters. Mr SPEAKER : That is hardly a point of order, but a fair response. Mr SPEAKER : Order! I haven’t called the member yet. [Interruption] Order! This is a point of order. I expect to hear it in silence—the Rt Hon Winston Peters. Rt Hon Winston Peters : I raise a point of order, Mr Speaker. The Minister seemed to be quoting from an official document about the uptake on day one. I wonder whether he would table it. Mr SPEAKER : That matter is easily resolved. Is the Minister quoting from an official document? Mr SPEAKER : Order! [Interruption] Order! It is a simple matter. It does not need further debate. If it is an official document and if the call has been made for it to be tabled, it will be tabled. Document, by leave, laid on the Table of the House. 5. GRANT ROBERTSON (Labour—Wellington Central) to the Minister of Finance : Does he agree with ANZ economist Cameron Bagrie when he says the New Zealand economy is “heading off-piste”? Hon STEVEN JOYCE (Associate Minister of Finance) on behalf of the Minister of Finance : I agree with a number of points in the ANZ Business Outlook that the member is quoting from, although not necessarily that one. I agree the medium-term outlook for the economy remains solid, despite some recent headwinds in agriculture and from overseas. I agree the economy’s fundamentals remain strong, long-term price trends are favouring New Zealand exporting and positive net migration as more New Zealanders stay or return home from overseas, and confidence is remaining firmly positive despite coming off recent highs. I have to say that if Mr Robertson thinks the economy is off-piste now, in 2008, when we came into Government, it had fallen off the mountain and broken both legs. Grant Robertson : Does he believe business confidence turning negative for the first time since the Canterbury earthquakes means the economy is on the right track or the wrong track? Hon STEVEN JOYCE : I think the economy is on the right track, and it is demonstrated by the fact that we have now had 17 consecutive quarters of GDP growth—that is 17 consecutive quarters of GDP growth. I appreciate Mr Robertson is of the type who likes to panic at the first sign of a change of numbers, but this Government is concentrating on focusing on encouraging investment and growth, and with 17 quarters of continuous growth I think there has been a fairly strong endorsement of the Government’s approach. Grant Robertson : Does the Westpac employment survey for June, which shows the proportion of workers who have received a pay increase over the past year is the lowest for 5 years and the number who expect to receive a pay increase in the next year is the lowest for 6 years, mean that the economy is on the right track, the wrong track, or just right off the trail? Hon STEVEN JOYCE : I think to consider that you would have to consider the inflation rate over the same period, and the inflation rate is actually at historic lows of 0.1 percent. So to suggest that there should be bigger pay increases for everybody would be damaging to the economy when you have a very low inflation rate. Most pay increases that we are seeing are related to productivity, and actually pay increases are running ahead of inflation, as distinct from, say, 2008, when although nominal pay was going up, it was going up slower than inflation, so therefore people were going backwards. Grant Robertson : Does the value of exports falling by 5 percent and dairy exports plummeting by 28 percent in the last year mean the economy is “heading off-piste”, or is this the trail he planned all along? Hon STEVEN JOYCE : Well, the actual trend in exports has been strongly positive over the last 5 years. Yes, it may not have escaped the member that dairy prices have got softer. When dairy is 23-odd percent of your exports, that is going to lower the overall rate. The good news for the member is that other industries such as kiwifruit, tourism, wine, information and communications technology, international education, and so on are steadily growing. Although they have not completely offset the decline in dairy, they are actually a sign of a broadening and diversifying New Zealand economy, which I thought the member was in favour of. Grant Robertson : Is it not true that, as the Prime Minister actually admitted yesterday, the economy is now being propped up by a Christchurch rebuild that is peaking and an Auckland housing bubble that can easily burst, and does he really think those two elements are a stable base for economic growth in New Zealand? Sue Moroney : That’s what he said. Hon STEVEN JOYCE : Well, I saw the reports as well, and actually both the Prime Minister and the Minister for Economic Development, I do believe, pointed out a number of other strongly growing industries. Given the member’s question, he probably forgot the previous answer, so let me run through some of those for him. The information and communications technology, the high-tech manufacturing industry, the red meat industry, the wine industry, the kiwifruit industry, the education industry, and the tourism industry, to name seven or eight, are growing strongly, and I think as a country we should be proud of them and not try to run the place down. 6. MARAMA FOX (Co-Leader—Māori Party) to the Minister of Trade : How many Māori organisations have been consulted during the last 5 years of negotiations on the Trans-Pacific Partnership Agreement? Hon CHRISTOPHER FINLAYSON (Attorney-General) on behalf of the Minister of Trade : I am advised that there have been numerous instances of consultation with at least five Māori organisations including Federation of Māori Authorities, Ngāti Kahungunu, the Māori Medical Practitioners Association, a Ngāpuhi group, and Te Kupenga Hauora Māori. The Ministry of Foreign Affairs and Trade has been active in engaging with a wide spectrum of stakeholders, including Māori organisations, which have received both briefings in person and regular email updates over the past 5 years. In 2009 Hui were held on the proposed expansion of the Trans-Pacific Strategic Economic Partnership Agreement to include a wider range of participants. 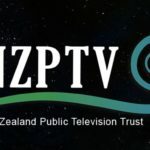 In addition, the New Zealand international treaties list, which includes an item on the Trans-Pacific Partnership, is circulated every 6 months to 143 iwi contacts. Marama Fox : What analysis, if any, has been undertaken on the implications of the Trans-Pacific Partnership agreement for the Treaty of Waitangi? Hon CHRISTOPHER FINLAYSON : I am not aware of any direct analysis at this time. Of course, the proper time for that kind of analysis will be if and when any legislation to give effect to it is introduced to this House. Marama Fox : Can the Minister guarantee that New Zealand will not ratify the International Convention for the Protection of New Varieties of Plants, as the United States has suggested, which is contrary to the rights affirmed in Te Tiriti o Waitangi, the Wai 262 claim, and the United Nations Declaration on the Rights of Indigenous Peoples? Hon CHRISTOPHER FINLAYSON : I challenge the basis of that question. It is a huge leap of logic to say that an international convention breaches Wai 262—I do not know this claimer to be the report—the Treaty of Waitangi, and anything else. 7. Dr PARMJEET PARMAR (National) to the Minister of Transport : What recent announcements has he made on investment in New Zealand’s land transport network? Hon SIMON BRIDGES (Minister of Transport): Yesterday I was pleased to welcome the release of the National Land Transport Programme. The $13.9 billion programme of investment over the next 3 years is the largest investment in land transport in New Zealand’s history and is a 15 percent increase on the previous 3 years. The programme is nationally consistent and regionally responsive. It will deliver on the Government’s priorities of increasing economic growth and productivity, improving safety, strengthening regional transport networks, lifting investment in public transport and cycling, and ensuring great value for money. Dr Parmjeet Parmar : What are some of the highlights of the 2015 to 2018 National Land Transport Programme? Hon SIMON BRIDGES : There are too many highlights to list in the time that I have got, but I can tell the member that $6.3 billion is planned for investment in the State highway network over the next 3 year; $4 billion is planned for investment in local roads, which is a 6 percent increase; $4.2 billion is planned for investment in Auckland’s transport system and services; almost $2 billion is planned for spending on public transport, a whopping 21 percent increase; and investment in cycling will more than triple. All of these investments will help drive long-term economic growth through improvements to key freight and tourism routes, access to markets, journey times, and the easing of congestion. Dr Parmjeet Parmar : How does the 2015 to 2018 National Land Transport Programme support regional New Zealand? Hon SIMON BRIDGES : It is a strong statement of the Government’s commitment to regional New Zealand. The Government’s accelerated regional roading package will be significantly advanced, with $197 million being made available to replace, for example, the Whirokino trestle bridge in Manawatū, replace the Taramakau road and rail bridge on the West Coast, make safety improvements to the Loop Road on Smeatons Hill in Northland, and make safety improvements to the Mt Messenger and Awakino Gorge corridor in Taranaki. We will also be making a strong start on our commitment to upgrade 10 single-lane bridges on Northland’s Twin Coast Discovery Highway over the next 6 years, and with funding approved already for the Matakohe, Taipā, and Kaeō bridges. Rt Hon Winston Peters : In terms of total investment in all regions thorough the National Land Transport Programme 2008-09, compared with just last year, 2014-15, why is it that there is a massive drop in the Bay of Plenty, a massive drop in Northland, and a massive drop in the West Coast, if anything he says is halfway true? Hon SIMON BRIDGES : I do not necessarily accept that, but what the member will know well is that this National Government has seen unprecedented investment in Tauranga—some $750 million completing the Harbour Link, the Tauranga Eastern Link, and very shortly, for example, the overpass near Bayfair. We are going to keep going because we are absolutely committed to supporting the great local MPs in that region. 8. RICHARD PROSSER (NZ First) to the Minister for Primary Industries : Is he concerned at the threat posed to New Zealand’s grain industry by the huge volumes of grain being dumped into New Zealand due to EU/Russia sanctions? Hon JO GOODHEW (Associate Minister for Primary Industries) on behalf of the Minister for Primary Industries : I understand the concerns of any industry hit by fluctuating global commodity prices. However, there are both positives and negatives in this situation. There is a lot of grain available right now because of Russia’s trade sanctions. Some New Zealand farmers will see this as a low-cost import opportunity. Lower prices will be helpful to those who use maize as a supplementary feed, and some comfort to those facing drought conditions. Although not relating to ministerial portfolios, any dumping claims may be addressed through the appropriate channels of the anti-dumping legislation. Richard Prosser : Is he aware that the huge volumes of imported grains being dumped here because of the EU-Russia sanctions is being made into cheaper stock feed than that being supplied by New Zealand’s grain producers; if so, what is he doing to ensure the livelihood of the New Zealand grain industry? Ron Mark : I raise a point of order, Mr Speaker. I would ask you to review that supplementary question. There is no way that the Minister could say that she believes—and thereby read out a prepared statement she has to answer any question in that same way. Mr SPEAKER : Order! [Interruption] Order! I have no idea whether it was a prepared comment or not, but the issue was, in effect, that feed manufacturers are using the cheapest option. The Minister has got every right to respond to that. The Hon Jo Goodhew, if she wishes to continue. Hon JO GOODHEW : It is a fact of life that our world-leading farmers compete against many other countries. Some of them even use subsidies and other trade barriers. That is why this Government places such a strong effort on securing new trade deals, which we have recently seen from Korea and Taiwan. Richard Prosser : Is he aware that some of the 37,000 tonnes of maize imported from Bulgaria in the first quarter of this year was found to be infested with Noogoora burr seeds at the Ministry for Primary Industries’ Te Puke biosecurity transitional facility; if so, is he aware that it is an offence under the Biosecurity Act to propagate, sell, distribute, release, or spread Noogoora burr in the Bay of Plenty, where it was found, and in Canterbury, where 95 percent of New Zealand’s grain crops are grown? Ron Mark : You’re reading out a prepared answer—answer the question. Mr SPEAKER : Order! Would the Minister just complete her answer. Hon JO GOODHEW : Yes, I would like to. All grain consignments are treated upon import, and none of the seeds will be viable after that processing. Mr SPEAKER : Order! [Interruption] Can the member just start the point of order. I cannot quite hear what he is seeking to table. Mr SPEAKER : Order! All I now need is the source of those photographs. Richard Prosser : They were sent to someone in our office. Richard Prosser : They were sent to someone in our office, by an observer. Mr SPEAKER : On the basis they may well be informative to members, I will put the leave and they can decide. Leave is sought to table those two particular photographs. Is there any objection? They can be tabled. Photographs, by leave, laid on the Table of the House. Richard Prosser : Is he aware that Noogoora burr seed is poisonous to cattle and pigs; if so, can he assure farmers that the supplementary grain-based imported feed they buy is free of Noogoora burr? Hon JO GOODHEW : Yes, I certainly can assure the member that because of the treatment of this imported grain when it arrives in New Zealand, in fact the processing means that the farmers can be assured those seeds will not be viable. Richard Prosser : I seek leave to table a document, an AgPest fact page advertising that Noogoora burr seeds are poisonous to stock, particularly pigs and cattle. Mr SPEAKER : Again, I did not catch the source and the date of the document. Richard Prosser : The source is AgResearch. Again, it is a paper prepared by my office. Mr SPEAKER : I presume if it is an AgResearch paper, it is easily available to members if they want it. I will not put the leave. Richard Prosser : Can the Minister confirm to the House that any New Zealand grain or cereal exported to Australia has to be denatured, because Australia’s tolerance to contamination is zero, yet there is absolutely no such requirement like this for grains imported into New Zealand, and how does the Minister reconcile that confirmation with the principles of free trade? Hon JO GOODHEW : I have prepared answers to importation requirements as opposed to any answers that I can give you regarding grain going to Australia, so I am not going to attempt to answer that question, because I do not know the answer. Mr SPEAKER : Order! No, that is freely available to members if it is produced by a regional council. The next document? Richard Prosser : It is the same source. 9. CHRIS HIPKINS (Labour—Rimutaka) to the Minister of Education : Does she stand by her statement “I am satisfied that all the contract funding to partnership schools will be spent on meeting the contracted outcome for each school, which is to deliver educational achievement”? Chris Hipkins : How can she claim that the funds being given to partnership schools are being used for education, when He Puna Marama Trust received $3.9 million in Government funding to the end of last year, yet its audited accounts show it spent only $1.4 million on education, leaving $2.5 million unaccounted for? Hon HEKIA PARATA : I think that the member is quoting selectively from the accounts. The first distinction to make is that He Puna Marama Trust is a trust that is the sponsor of Te Rerenga Parāoa Whangariki Te Rerenga Parāoa, and that is only one of the entities that it is responsible for. It also is responsible for 5 to 6 early childhood centres. It also runs an academy, and it is responsible for delivering outcomes, and I am happy to read to the member the 100 percent of National Certificate of Educational Achievement level 1 achievement that that school delivered. I will need to find the specific—something like 93 percent for National Certificate of Educational Achievement level 2, which is what it is contracted to deliver. [Interruption] To educational achievement—at nearly 100 percent on all three. Chris Hipkins : Does she think it is a good use of taxpayers’ money to provide He Puna Marama Trust with a grant of $1.8 million to set up a school, given it leased a premises that the accounts show is costing it only $68,000 a year? Hon HEKIA PARATA : I am very happy to answer that question, because the member has failed to grasp, for some considerable amount of time, that partnership schools are set up on a different funding basis. It is cashed up, based on the inputs—[Interruption] Good, are we all following along here? Yes. So it is based on the inputs that we fund—schools—and is benchmarked against decile 3. But I can see that the Opposition actually does not want the intrusion of facts on its shouting. That is what happens with partnership schools. We take the formula provided for mainstream schools. We benchmark against decile 3. We cash it up. We provide it with a contract. That contract is specific and public, and then we report the outcomes, and perhaps the Opposition would like to shout with glee for the number of kids who have gotten great educational qualifications that otherwise they might not have gotten. Chris Hipkins : If the partnership schools are indeed “cashed up”, as the Minister explains, where has the extra $2.5 million that He Puna Marama Trust was given to run a partnership school gone? Hon HEKIA PARATA : A number of the partnership schools have been leasing properties while they prepare to build. That is the case in the particular school whose accounts the member is selectively quoting. Chris Hipkins : How is it fair that charter schools are being allowed to make multimillion-dollar surpluses, or have multimillion-dollar amounts unaccounted for, while just down the road students and teachers are having to put up with classrooms that are increasingly covered in black mould, and other schools throughout New Zealand where parents are being asked to subsidise their kids’ education that the law says is supposed to be free? Hon HEKIA PARATA : It is quite inaccurate for the member to suggest that there are funds that are unaccounted for. They are accounted for, but the member just does not like the way they are using their funds. They have a long-term contract. They have cashed up inputs based on the same benchmarking. They have all made different choices that this House has heard about before. Vanguard, for instance, has put over 50 percent of its funding into the employment of staff. Other schools have made choices about lease versus purchase properties. In the end, our interest is to ensure the well-being of the students and the education quality the schools are delivering. That is what the annual reporting represents. Chris Hipkins : How many months has it been since she gave the Whangaruru charter school 1 month’s notice, and given the Prime Minister’s statement that if charter schools failed, the Government would be quick to close them down, why is that school still operating? Chris Hipkins : In January. Hon HEKIA PARATA : No, I gave them that in March. Grant Robertson : More than a month ago. Hon HEKIA PARATA : Yes, if you will just follow along with me, I will explain the process. So then I commissioned a report by Deloitte and by the Education Review Office, which I have received. Now I am in a process with that school, working through it. 10. BRETT HUDSON (National) to the Minister for Small Business : What actions has the Government taken to encourage small businesses to list on the New Zealand share market? Hon PAUL GOLDSMITH (Minister of Commerce and Consumer Affairs) on behalf of the Minister for Small Business : Recently, the Government welcomed the first listing on the New Zealand Exchange’s new securities market called NXT. NXT is a simpler, lower-cost securities market aimed at making it easier for smaller businesses to list and raise capital. Many small and mid-sized businesses require capital injections to innovate, grow, and, ultimately, create jobs. This new market will help firms do that. Last year the Government’s Financial Markets Conduct Act reforms came into effect. Through these new laws and regulations we made it possible for new businesses to access alternative, flexible methods for raising capital while opening up new investment opportunities for New Zealanders. Brett Hudson : How will the NXT market make it easier for small and medium sized firms to raise capital? Hon PAUL GOLDSMITH : The new regime allows for simple, tailor-made listing and disclosure requirements, and will help firms to list publicly without needing to be prepared to list on the main NZX board. These reforms are just another part of the Government’s ambitious Business Growth Agenda, aimed at building confidence in our financial markets and giving small businesses the assistance they need to raise capital, grow their business, and, ultimately, grow our economy. 11. KELVIN DAVIS (Labour—Te Tai Tokerau) to the Minister for Primary Industries : Is he aware of reports that local wood manufacturers have been refused the opportunity to buy swamp kauri from Kauri Ruakaka mill, which was formerly called Oravida and is allegedly involved in exporting raw swamp kauri, and what is he doing to ensure that this irreplaceable resource is managed responsibly? Hon Dr NICK SMITH (Minister for the Environment) on behalf of the Minister for Primary Industries : Firstly, the Minister was not aware of such reports, but he notes that there are about a dozen operators from which local manufacturers could get wood and that the Government does not interfere in commercial arrangements. Secondly, the Ministry for Primary Industries disputes claims that this mill is exporting illegally. Thirdly, advice from the Ministry for the Environment and the Northland Regional Council is that, generally, the resource is being managed responsibly. There have been some occasions when extraction from indigenous wetlands has occurred. In those events, there have been prosecutions under the Resource Management Act. Kelvin Davis : How can Northlanders have any confidence that any new investigation, such as the one referred to in question No. 9 on 17 June, will not be another whitewash, like the 2012 swamp kauri investigation, which promised “closer monitoring of swamp kauri sawmilling and export participants” yet has failed to stop raw logs and slabs from being sent out of this country illegally, thereby denying Northland desperately needed jobs. Hon Dr NICK SMITH : I would invite the member to talk to his colleagues, because in 2004 the previous Government relaxed the law and made changes to the Forests Act. Hon David Parker : 13 years ago. Hon Dr NICK SMITH : Indeed. Mr Parker, who interjects, was one of those who actually reduced the reporting requirements for swamp kauri that was being exported. The Ministry for Primary Industries remains of the view that the law is being followed. If the member genuinely believes it is not, why does he not test it in court? Hon Dr NICK SMITH : I thought that this member was above getting involved in that sort of mirk. Mr SPEAKER : Further supplementary question—[Interruption] Order! [Interruption] Order! There is now too much interjection in this House. Mr SPEAKER : Order! [Interruption] Order! We have now got to the stage where I have asked for fewer interjections and they have carried on. Mr Davis will now ask a supplementary question. If I hear an interjection coming from anywhere in the House, that person will be leaving the Chamber immediately. Kelvin Davis : What does he make of a comment made to Northland Environmental Protection Society head Fiona Furrell by a transport company involved in the transport of illegal swamp kauri, which says: “You’ll never stop this while National is in power.”? Hon Dr NICK SMITH : I would invite the member to check the Parliamentary record and the law changes that were made to the Forests Amendment Act in 2004, which removed the requirement for the Ministry for Primary Industries to have to check that processed product was, in fact, processed in New Zealand. I invite the member to have a look in the mirror. Rt Hon Winston Peters : Is the Minister saying that it is just mere coincidence that the Orevida company gave $30,000 to the National Party before the last election? Mr SPEAKER : Order! There is absolutely no responsibility for that. I will rule that question out, but before I cancel it altogether, I will give the member an opportunity to re-ask a supplementary question that is in line with Standing Order 380. Rt Hon Winston Peters : Why is the Minister saying that these logs are finished products when anybody with half a brain can see that they are not? Hon Dr NICK SMITH : The law that was passed defines stumps of kauri, including up to 4 to 5 metres of the lower portion. If either that member or his colleagues adjacent think that there has been a breach of the law, I challenge them simply to test it in the courts. The advice from the Ministry for Primary Industries is that the law is being complied with. Kelvin Davis : Given the players in the illegal export of unprocessed swamp kauri are confident that it will “never stop … while National is in power.”, what options do the people of Northland have to ensure that their taonga is used to benefit the people, not National’s mates? Mr SPEAKER : The Hon Dr Nick Smith—and, again, just respond to the latter part of the question. 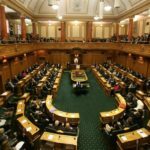 Hon Dr NICK SMITH : I just simply remind the Parliament that it was in 2004 that the law in respect of exporting indigenous timber such as swamp kauri was relaxed, that this Government has made no changes to that law, and that the advice from the Ministry for Primary Industries is that that law is being followed. In respect of the Resource Management Act, there have been some breaches, and where it has been breached, the Northland Regional Council has prosecuted. Mr SPEAKER : Order! I do not need assistance from anybody. The question that I ruled out of order was about an alleged donation to a political party. No Minister is responsible for that. Mr SPEAKER : Order! [Interruption] Order! The member will resume his seat immediately. That information is publicly available to any member who wants it. 12. JULIE ANNE GENTER (Green) to the Minister of Transport : What percentage of the National Land Transport Programme announced yesterday will be spent on new rail infrastructure? Mr SPEAKER : Before I call the Hon Simon Bridges, I have been advised that this answer may be longer than normal. Mr SPEAKER : So what is the point of order? Mr SPEAKER : Order! I would be grateful is the member would show some courtesy to the Minister and to the House. I announced at the start of the question that it would be a longer answer than normal. As I am listening to the answer, it maybe is a reason why a percentage will not be given. If the member would only listen to the answer before raising a point of order, I think we would all be far more grateful. Would the honourable Minister wish to continue with his answer. Mr SPEAKER : Order! Now the answer is quite long enough. Mr SPEAKER : Order! So what is the point of order? Mr SPEAKER : The member has not been listening like I have been listening. In my opinion that question has, without doubt, been addressed. It may not be to the satisfaction of the member, but then she can make progress by further supplementary questions. Rt Hon Winston Peters : I raise a point of order, Mr Speaker. I was listening very intently and I want to ask you: what, then, was it that we missed about the percentage? Hon Gerry Brownlee : I think quite clearly what the member missed is that the National Land Transport Plan does not necessarily carry the funding for rail because it all comes from the excise. Mr SPEAKER : I appreciate—[Interruption] Order! The member—[Interruption] Order! The member will resume his seat. What the member now needs to do is go back and study Hansard, and he will get the same answer that I heard too. Julie Anne Genter : Given that rail is a form of land transport, and rail improvements can vastly improve the road network and take pressure off the road network, why will his Government not fund high-value rail projects from the land transport budget? Hon SIMON BRIDGES : I think we have got a very proud record of backing rail. That is why we have spent over $3 billion on capital expenditure, that is why we have put the biggest single investment in rail infrastructure in many decades in the $1.6 billion electrification in Auckland, and that is why we have spent over half a billion dollars investing in Wellington rail. We back rail, and we are trying to make it as sustainable as possible so it has a very long future in this country. Julie Anne Genter : In light of that answer, will he guarantee that under his Government electric trains will not be downgraded to diesel trains on the North Island main trunk line? Hon SIMON BRIDGES : Of course, that is an operational matter for KiwiRail, and no decision has been made on that. This Government is busy not engaging in stunts like that member but actually working hard to make KiwiRail sustainable in every sense of that word—yes, environmentally, but also economically and socially. 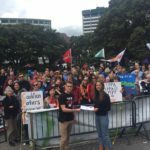 Julie Anne Genter : So is he seriously saying that as the Minister of Transport and Associate Minister for Climate Change Issues, he is going to do nothing ensure that New Zealand preserves and extends its fleet of electric freight trains? Hon SIMON BRIDGES : I have already answered that, but let us be very clear. In regard to diesel trains, they are some 70 percent more fuel efficient than trucks, and so actually I think we have got to make sure that we make rail as a business sustainable in every sense of the word so it does have a long future here. That also means—and I appreciate this is not something the Green Party takes seriously—making it economically sustainable so that it is a profitable, sustainable company. Mr SPEAKER : Order! No. Such tabling does not provide information. It is being used by the member simply to make a political point. Mr SPEAKER : Order! Can I just have the point of order, please. Mr SPEAKER : Order! That is a serious allegation being made. [Interruption] The member will resume his seat. The member knows full well the process if he thinks that has occurred and it is not via a point of order. I think it is, from memory, Standing Order 359. Mr SPEAKER : Order! The member, the Hon Damien O’Connor, will stand and withdraw and apologise for that comment. [Interruption] Then the member will immediately leave the Chamber. Hon Damien O’Connor withdrew from the Chamber. Dr RUSSEL NORMAN : This is to do with the answer given by the Minister of Transport to question No. 12. I would ask you to look at the record of the Hansard,because the question on notice that was written down was a very simple, straight question and in the answer the Minister attacked the member asking the question, accusing her of being tricky and various other things. I think that is completely unreasonable, and I would ask you to intervene when a Minister does those kinds of personal attacks on a very straight question and, actually, hold the Minister to account for it. Mr SPEAKER : That is a very fair point of order that has been raised. The Minister’s office advised my office just prior to question time it would be a longer answer than normal. The Minister, I think, genuinely attempted to answer the question. His last comment was to accuse the member of being tricky. That was a very unnecessary and, in fact, an inflammatory remark. As soon as it occurred I brought that answer to a conclusion. Answers like that from any Minister show a level of arrogance that does not show them in good light in this House.